Young eyes, with their more flexible lenses, can accommodate differences in distance better than older eyes. This loss of flexibility is called presbyopia and is shared by everyone as we age past 40. As we age, the lens of our eyes harden and we lose our accommodation the ability to change our focus for close objects. Most people notice this condition in their mid-forties. Presbyopia gradually becomes more pronounced as we age, until about the age of 65 when we usually have lost all our ability to accommodate. Presbyopia - has an interesting word etymology. Presby comes from the same word root as Presbyterian, and means elder as in church elder. Opia is a Greek root and refers to the eye. As we become older (as in elder) we find that our eye lenses have less flexibility. 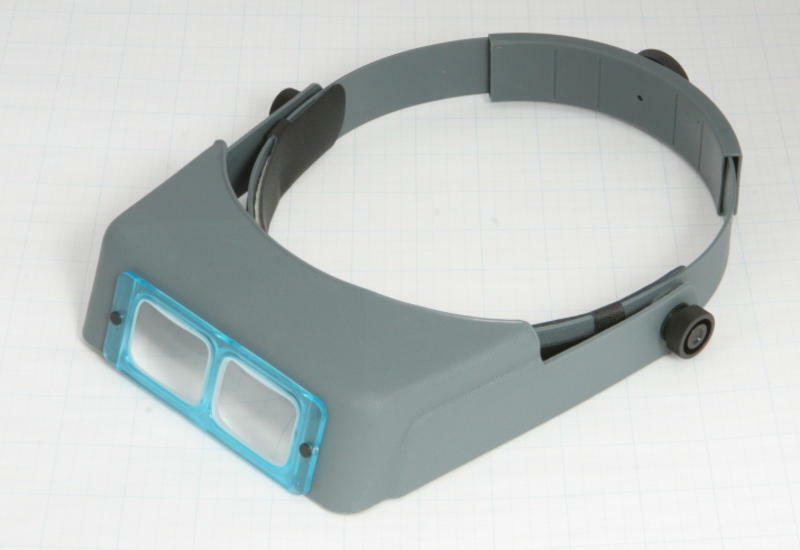 One way to deal with presbyopia is with Headband magnifiers.